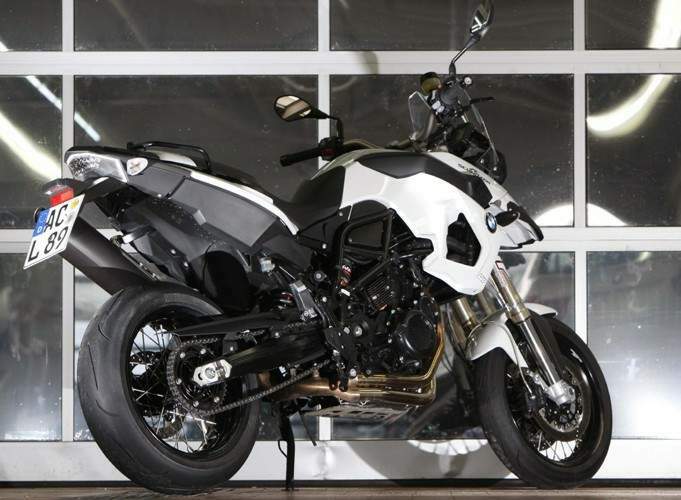 Una BMW F800GS con scarico, sospensione WP e pneumatici Continental Race Attack. BMW can cater for nearly all tastes, ages and heights. Well, it would if it listed a supermoto midway between the 650cc X-Moto and the mad, large capacity HP2 Megamoto. This is where AC Schnitzer's F800GS supermoto steps in. The Aachen-based company is probably more famous for its BMW car tuning side, but rapidly catching up is its bike division thanks to a vast range of aftermarket wheels, exhausts, styling kits and small but helpful additions like mirror extension blocks. 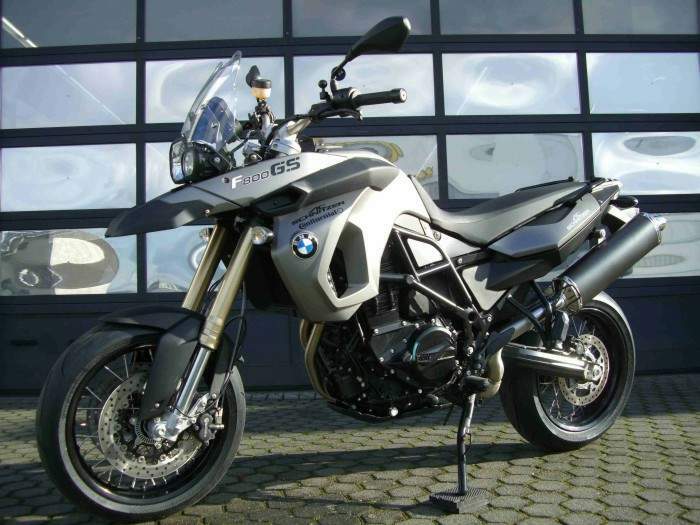 Its latest upgrade parts are all geared for the popular F800GS adventure bike. 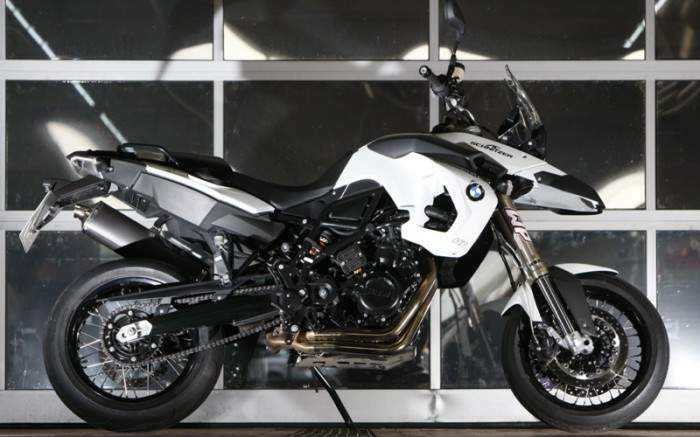 Except AC Schnitzer has modified this F800GS to the point it is now a brilliant supermoto. A freer flowing exhaust, road-tuned WP suspension and Continental Race Attack tires for better on-road performance.